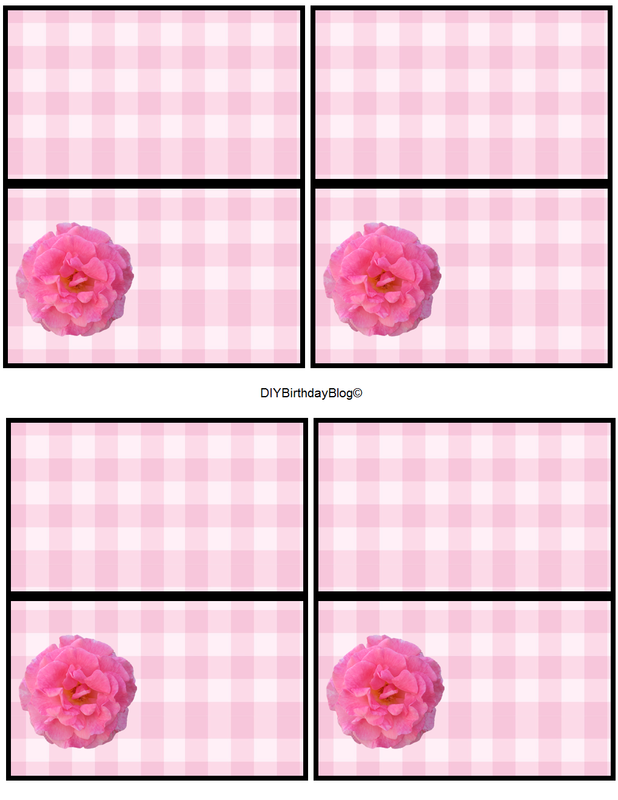 Looking for a cute theme for your little girls birthday party? 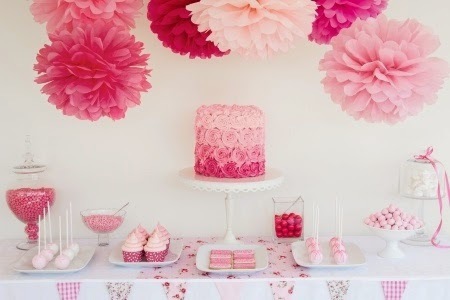 If she likes pink and roses then why not try this adorable Pink Rose Birthday Party theme! 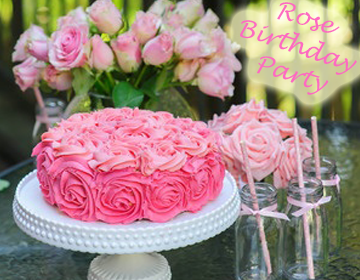 To make this pink rose cake simply use a 9" round cake pan or bigger depending on the size of cake you need. You can buy this from Walmart. After you bake and let the cake cool it's time to decorate it. Make sure you frost the cake in a pink color before you do this. You don't want any cake showing through your roses. You will need a light pink frosting and a dark pink frosting and two separate piping bags. To get the color like the picture just take white frosting and tint it using red food coloring. Fill one piping bag with a light pink frosting and the other bag with the dark pink. 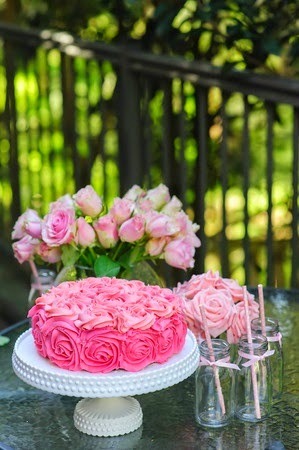 Once you have your two colors of pink then it's time to use the dark pink frosting around the edge of the cake only. If you already know how to pipe rose swirls on a cake then your good to go. If you are not real sure how to do that then try going to Youtube and doing a search on How To Make A Rose Cake. After your done with adding the dark pink roses all around bottom of the the cake then you will need to add some pink rose swirls in the other light pink color to the top. This will give the cake a nice ombre effect. It's actually very easy to make. Try sprinkling some edible glitter on top for a fancy finish! For the drinks try using glass bottles that feature the vintage milk bottle shape. Walmart carries them and you can get a set of 6 for $9.00. Tie some pink ribbon around the bottle so it will match. 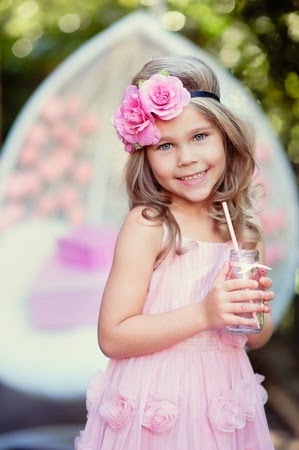 And don't forget to get the pretty bubblegum pink colored straws! Try looking in Etsy, Oriental Trading or Walmart for them. (B. 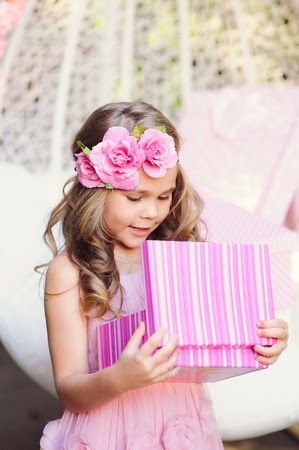 )Make a custom DIY rose dress just for her! If you want to make her dress match her Rose Party then this is what you do. Buy a cheap pink dress for her and then make some fabric rosette's using a pink material and attach them to the dress all over the skit part. Want to see a step by step tutorial on this? I found this on Little Birdie Secrets website. Really easy to follow instructions. Of course she is going to need a matching headband to go with her dress. You can either use the fabric rosettes or you can buy some fake pink roses from Walmart or the Dollar Tree and just pluck the rose off the stem. 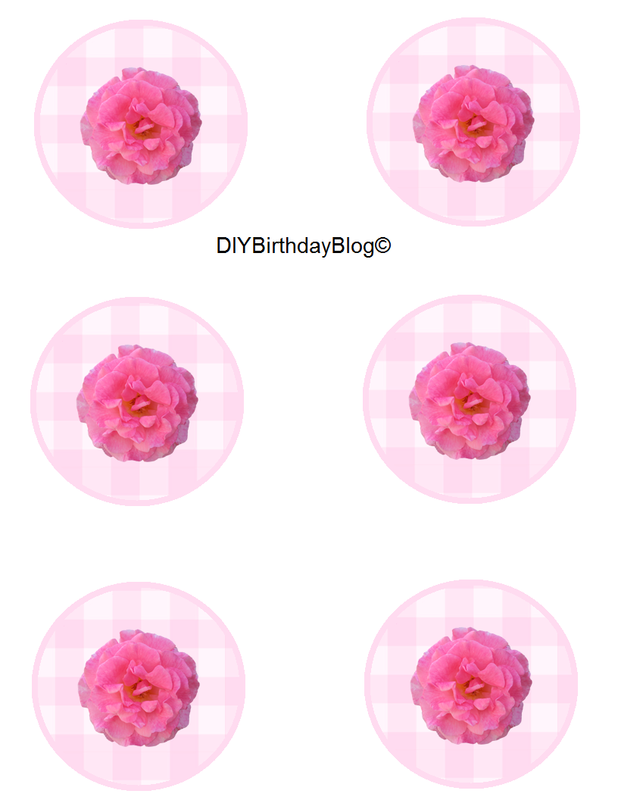 Just sew two or three roses onto a black stretchy fabric headband. They make stretchy headbands that you can easily find in Walmart. 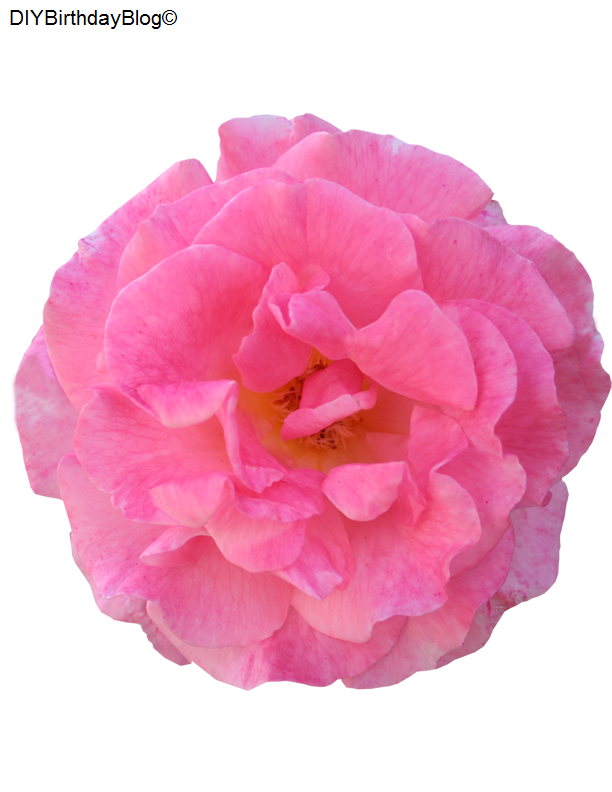 For decorations try scattering some fake pink roses here and there on the table. If you buy long rose vines from the store you can turn those into some fancy decorative garland to drap over the doorways or the table. Add some white lights to it to really make it pretty! 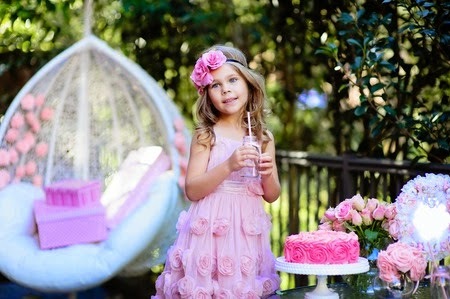 Buy pink balloons in the shape of roses, use pink drinks such Pink Lemonade, Pink Strawberry Milk, or Pink Punch. Try mixing ginger ale and raspberry sherbet together for a pink punch. For the food try baking some pink cinnamon rolls that would resemble pink roses. I found a tutorial on how to make them homemade but if you don't want to go to all the trouble....then just buy the cinnamon rolls already made and some Pillsbury pink cake frosting. Then just scoop out some pink frosting from the can into a bowl and microwave a few seconds to get it heated and drizzle over the rolls. 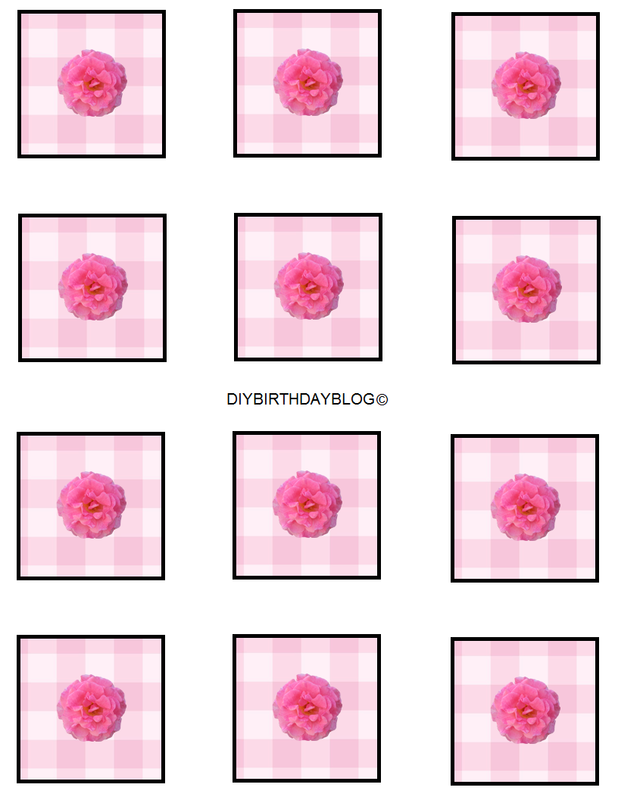 I made some free printables down below if you need them. Just print and cut out. Just click on the image and it will pull up a larger version and then right click your mouse. Then click SAVE IMAGE AS. This will download the image onto your computer. Just pick where you want it to go on your computer. Then open it up in your Paint Program and print from there. You can add words to the template in Paint if you need to. Just click on image and then print from your computer. This should fill an 8.5x11 sheet of cardstock. Use a decorate hole punch to punch them out or just cut them out as is. Just print and cut out using decorative cutting scissors. Add this to the back of chairs or try taping it to blowed up balloons. Just print and cut the cards out. 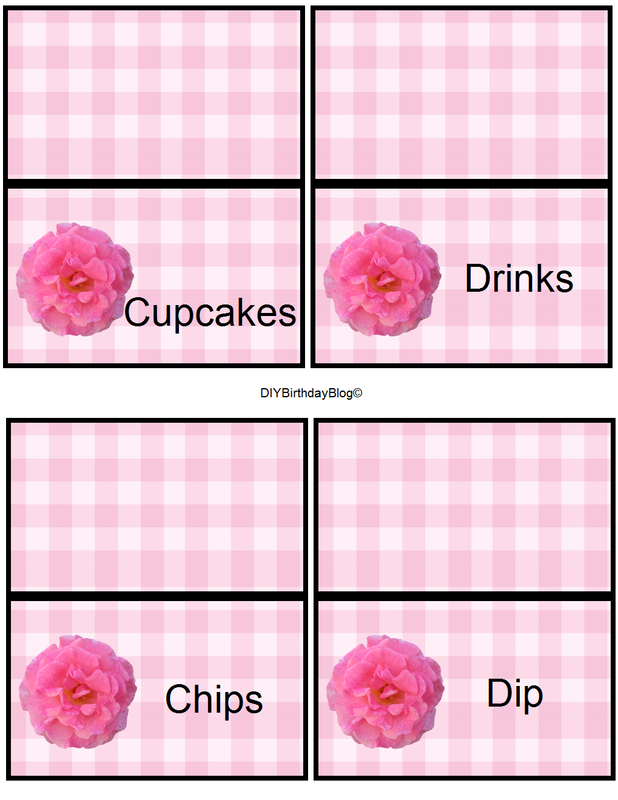 Fold in half on black line and sit next to food item. Just print and cut out. Stick this on top of the mason jar lid and then screw the lid cap on.